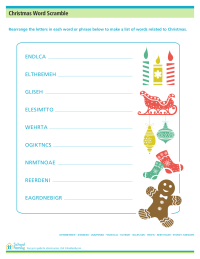 Printable Christmas coloring pages, math worksheets, writing prompts, word searches, crosswords, activities, and more. 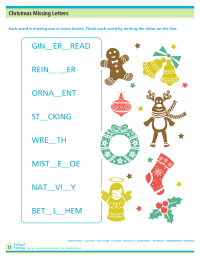 Christmas-theme word scramble will challenge and entertain kids during the holiday break. Answer key is provided at the bottom of the sheet. 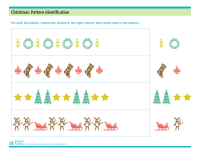 Fun holiday worksheet that will help keep kids entertained during the holiday break. Answer key is provided at the bottom. 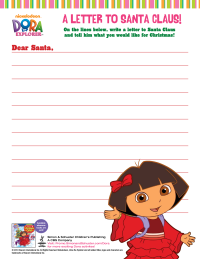 Write a letter to Santa with this Dora-themed Christmas printable for young children. Created by Simon and Schuster Resources. Find books about Dora the Explorer. 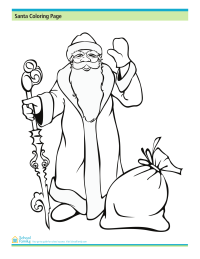 Enjoy coloring this lovely picture of Santa Claus.